Hello and welcome to Grappling with Gender, a podcast about fashion, women and wrestling. In this podcast I will be examining the world of women’s wrestling through an interview conducted with two local wrestlers, Jody Threat and Jessie Mack. Listen in to find out more about how gender, dress and roleplaying in the ring help create the fantasy and theatre that is wrestling. In this podcast you will also hear the E.P. 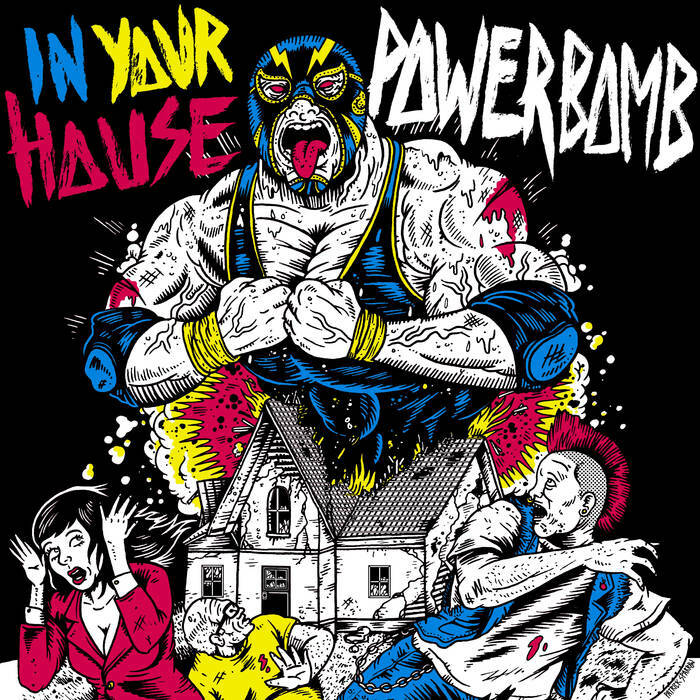 “In Your House” from local wrestling inspired metal band- PowerBomb. PowerBomb can be found by clicking the link to their website below. Barthes, Roland. “The World of Wrestling.” Mythologies, 1972 ed., Editions du Seuil, Paris, 1957, pp. 15–25. Canella, Gino. “Occupy Raw: Pro Wrestling Fans, Carnivalesque, and the Commercialization of Social Movements.” The Journal of Popular Culture, vol. 49, no. 6, 2016, pp. 1375– 1392. Wiley Online Library, doi:10.1111/jpcu.12492. Connick, Rob. “WWE Raw: Road to Summerslam and WWE Raw Live Review.” Theatre Journal, vol. 62, no. 1, Mar. 2010, pp. 118–120. Project Muse, doi:10.1353/tj.0.0331. Craven, Gerald, and Richard Moseley. “Actors on the Canvas Stage: The Dramatic Conventions of Professional Wrestling.” The Journal of Popular Culture, VI, no. 2, 1972, pp. 326– 336. Wiley Online Library, doi:10.1111/j.0022-3840.1972.0602_326.x. Rickard, John. ““The Spectacle of Excess”: The Emergence of Modern Professional Wrestling in the United States and Australia.” The Journal of Popular Culture, vol. 33, no. 1, June 1999, pp. 129–137. Wiley Online Library, doi:10.1111/j.0022-3840.1999.3301_129.x. Roberts, J. H. “‘Don’t Call Me White’: Fashioning Sami Zayn’s Arabic and Transnational Identities.” Critical Studies in Men’s Fashion, vol. 2, no. 2, 2015, pp. 213–223. ProQuest, doi: 10.1386/csmf.2.2-3.213_1. Sisjord, Mari Kristin, and Elsa Kristiansen. “Elite Women Wrestlers Muscles.” International Review for the Sociology of Sport, vol. 44, no. 2-3, 2009, pp. 231–246., doi: 10.1177/1012690209335278. Taylor, Joy T. “‘You Can’t See Me,’ or Can You? : Unpacking John Cena’s Performance of Whiteness in World Wrestling Entertainment.” The Journal of Popular Culture, vol. 47, no. 2, 26 Apr. 2014, pp. 307–326. Wiley Online Library, doi:10.1111/jpcu.12123. Walton, Theresa. “Pinned by Gender Construction? : Media Representations of Girls’ Wrestling.” Women in Sport and Physical Activity Journal, vol. 14, no. 2, 2005, pp. 52–68. ProQuest, doi:10.1123/wspaj.14.2.52. “Wrestling dropped from 2020 Games.” ESPN, ESPN Internet Ventures, 14 Feb. 2013, www.espn.com/olympics/wrestling/story/_/id/8939185/ioc-drops-wrestling-2020- olympics.